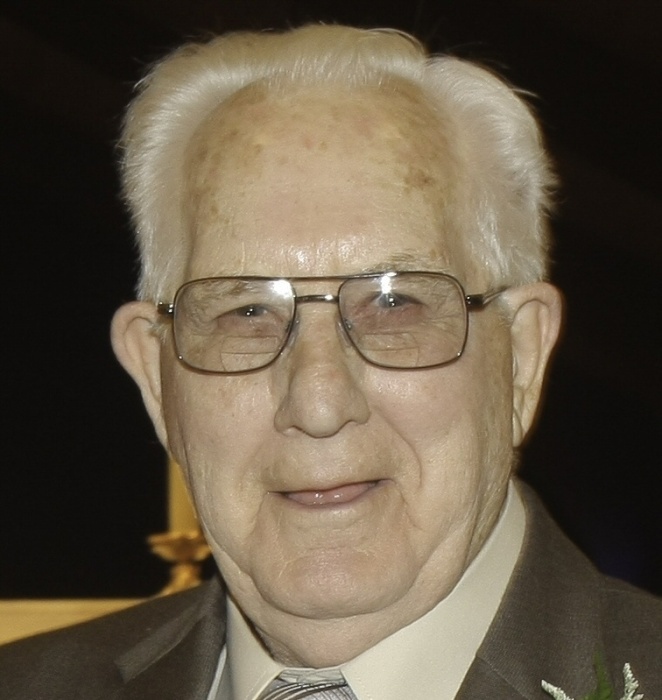 Carl L. Brenen, 88, of Butler, died Saturday afternoon, February 9, 2019, at the Chicora Medical Center. Born February 21, 1930 in Butler, he was a son of the late Glenn Brenen and Marie (Kern) Brenen. Carl had worked at the Armco Steel Plant in Butler, retiring after 40 years. He was a member of St. Paul Roman Catholic Church in Butler, the French & Belgium Club, the Butler Moose and had enjoyed fishing, bowling and golfing. When he was young Carl was a local boxer at the Cubs Hall. He was a veteran of the United States Air Force. His family like to thank the 365 Hospice Care Team, also Nurse Cathy and Nurses Aides Marie and Deb at the Chicora Medical Center, for their care. Surviving are his 5 daughters: Deborah (Patrick) Dorcy, Diana McGee both of Butler, Terry (Charles) Byrd of Coatesville, PA, Denise (Dean) Selfridge, Tammy Fend, both of Butler. A son-in-law, Jim McLean of Hermitage. 9 grandchildren: Kenny McGee & Sara McGee, Angela (Michael) Musillo, Dean (Kate) Selfridge Jr., Krystal (Mark) Snyder, Joshua (Amber) Byrd, Nicole Fend, Bret Dorcy, Jason Byrd, Jordan Fend. 12 great grandchildren: Meghan, Connor, Luke, Lincoln, Lucia, Ayiana, Kian, Kennedy, Mirabella, Valentia, twins Hunter and Sophia. His companion, Helen Russo of Butler. In addition to his parents, he was preceded in death by his wife, Margaret “Peg” Brenen, she died March 7, 1993; his daughter, Tracey McLean; a grandson, Jeremy Dorcy; also 8 brothers and 1 sister, as he was the youngest and last surviving member of his family. Also he was preceded by his pet monkey Jocko he had in his Air Force days. Friends will be received at the Geibel Funeral Home, 201 East Cunningham Street, Butler, from 2-4 and 6-8 p.m. Tuesday. A Mass of Christian Burial will be celebrated on Wednesday, at 10:00 a.m., at St. Paul Roman Catholic Church, 128 North McKean Street, Butler. Entombment with Military Honors by the V.F.W./American Legion Honor Guard will follow in the Mausoleum of Calvary Cemetery, Butler.